Today is Love Your Lawyer Day! 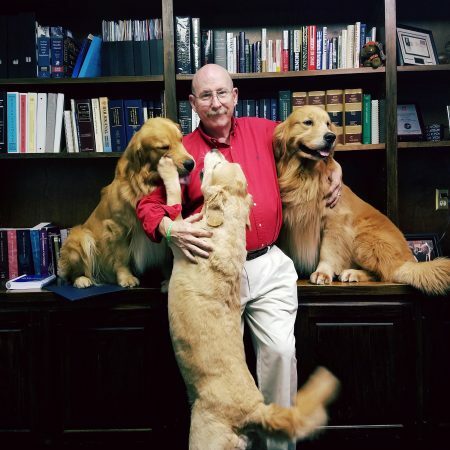 To celebrate, and share the love, we’re posting a short piece about our managing partner of Coffman Law, William S. Coffman Jr.
Let’s talk about our lawyer, William Coffman. Mr. Coffman started Coffman Law in 2003 and has practiced disability insurance litigation, primarily under the ERISA statute, since its inception. Coffman Law focuses on getting clients the money they deserve for disability insurance benefits they paid in to. Mr. Coffman has a J.D. from Cleveland State University, MFA from University of Arkansas at Fayetville, a M.A. from Johns Hopkins University, and a B.A. from Case Western Reserve University. He has passed the bar in both Ohio and Florida. Mr. Coffman enjoys reading in his free time. He is a fan of the Cleveland Browns NFL team. He enjoys spending time with his family. And Mr. Coffman absolutely loves his job. It is not abnormal to find him working late hours in the office or coming in on the weekends. Today, November 2, 2018, we salute the commander in chief of Coffman Law.